The newest Amazon Tech Hub is opening in San Diego with the promise of 300 new tech jobs. 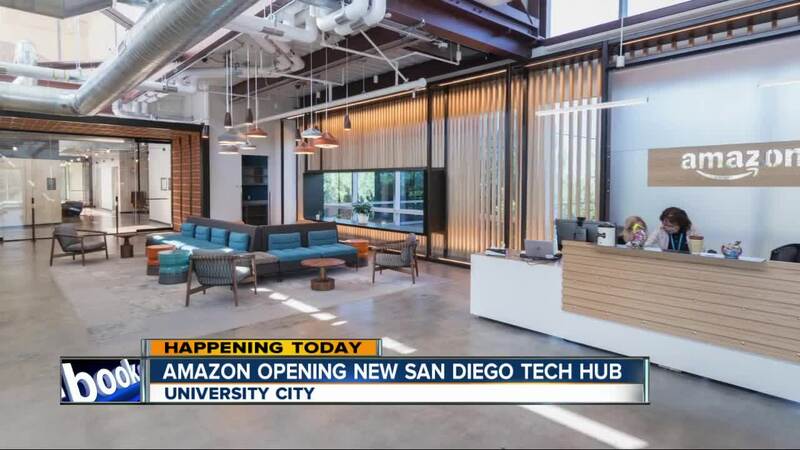 SAN DIEGO (KGTV) - Amazon is expanding its San Diego operations and the company’s plans include the creation of 300 new tech jobs. The tech giant announced it would be doubling its San Diego Tech Hub workforce and move into a new, 85,000-square-foot office in the University City area. Nate Wiger, a UC San Diego graduate and general manager of Amazon’s San Diego office, came up with the idea of a San Diego Tech Hub in 2016 while working at the company's Irvine facility . "Amazon is excited to create more tech jobs in San Diego -- a city with terrific talent and a culture of innovation. We look forward to more than doubling our investment in the area, and hiring local talent to fill exciting roles across Amazon. Thank you to all our partners across the city and the state for helping us create these new jobs, and contributing to the already vibrant innovation economy in San Diego," Wiger said. Amazon officials said the new jobs would be in fields such as software development, cloud computing and digital entertainment. Tanya Hertz, a professor of entrepreneurship at Miramar College and San Diego State University, believes the move will be a boost to San Diego's economy. She said San Diego is an ideal location for Amazon to expand its footprint. 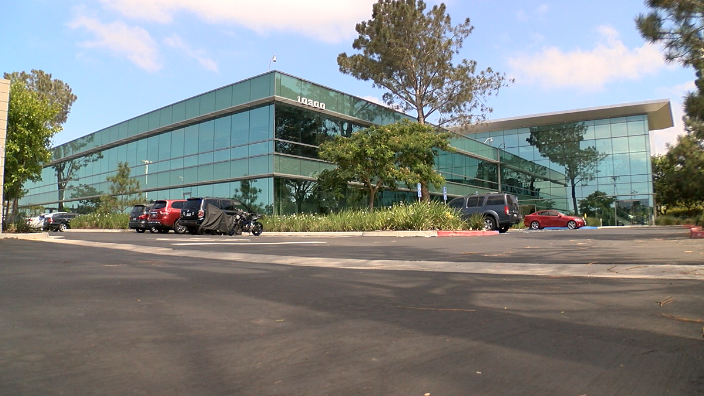 “This is positive for the city, it helps with our reputation being known as an innovative, highly-skilled tech workforce, and these are high-paying jobs, these are jobs we want in San Diego," said Hertz. Hertz says both Miramar College and SDSU are preparing students to take on jobs like the one Amazon is bringing to San Diego. "We really have a culture of entrepreneurship and innovation, and that’s something they’re really looking for, and a lot of tech firms are looking for," said Hertz. Officials said engineers with San Diego’s Tech Hub recently helped launch the Whole Foods Market Prime Now pickup and delivery service. San Diego Mayor Kevin Faulconer expressed excitement over Amazon's expansion. "San Diego is a place where ideas take shape and innovation happens. Our entrepreneurial spirit, innovative culture and top-ranking universities make our city the perfect location for Amazon's newest tech hub. This new facility is an investment in San Diego's growing innovation economy, our talented workforce and the relationship we have with one of the world's leading companies, and I can't wait to see what exciting new technologies Amazon will be developing right here in America's Finest City," the mayor said. A grand opening event at the new office building at 10300 Campus Point Drive is scheduled for Thursday.